The Gloria Darden Center is an all male facility. Our Primary Residential Program is a 30-day program for adult males only with a primary diagnosis of alcohol and drug dependency. We also serve individuals who have been diagnosed with serious mental illness along with substance dependence. The primary treatment wing has a capacity for 24 males. We refer females seeking Primary Residential Treatment to other Alcohol and Drug Treatment facilities that serve females. 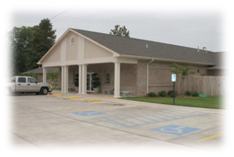 Are you familiar with Gloria Darden Center? Help FreeRehabCenters.org users find out answers.